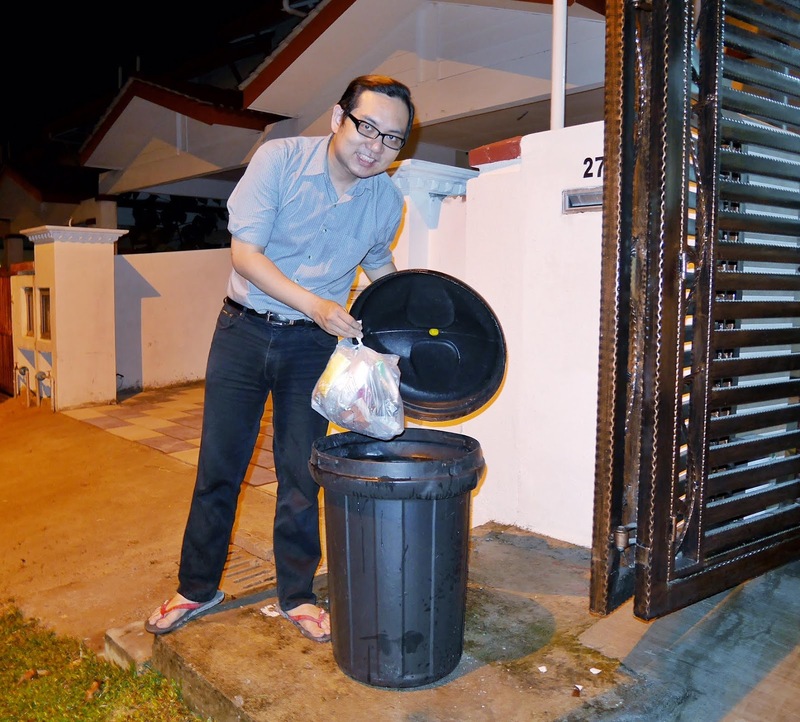 Recently, after attending a talk on waste management, I did learn a thing or two on waste segregation and how it should begin from home. The basics are to sort out and segregate the wet and dry wastes into different bags and locations. Dry waste can be tagged for recycling, while wet waste should be send to be decomposed. 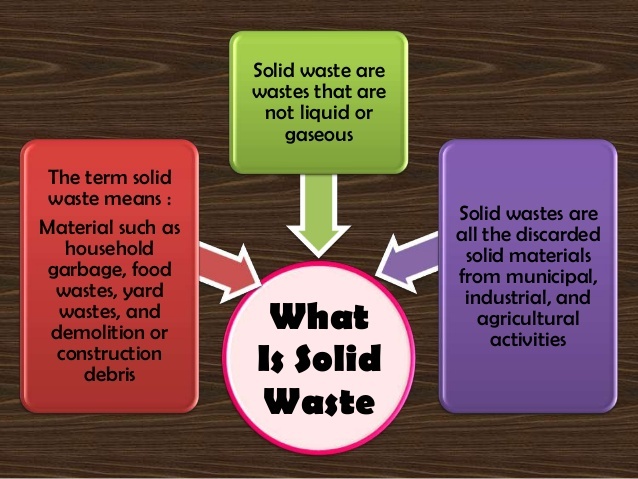 So what is wet waste and how is it different from dry wastes? Waste is waste, garbage is garbage, right? WRONG. Our wet wastes consist mostly of organic waste such as food, soiled diapers and other “damp” materials, while dry wastes consists of solid and recyclable materials which can be further separated into three groups: plastic, paper and other. Of course, not all dry wastes can be recycled, but that's another whole other topic in itself. Coming back to the amount of waste we generate every single day. From what I've read from a fellow blogger's blog, there's this study in 2013 where Malaysia produced an average of 30,000 to 33,000 tonnes of waste each day. Where does it end up at? I really do hope efforts are put in place by the people in power to go about converting all these waste into useful energy. That way, it will actually be useful to us, instead of being thrown away to pollute the Earth. While reading more into the topic of waste to energy, as I'm very much interested in how our waste can actually be converted into energy, electrical to be specific, for the usage of our countrymen. This brought me to the efforts done by Berlin, in Germany. They actually generate electricity for district heating from their garbage. How cool is that? When the waste arrives at the the Berlin plant, it is inspected, weighed and trans­ ported to the waste incineration lines, where it is incinerated on the moving grates. The flue gases resulting from the combustion have a temperature of more than 850° C. High­ pressure super-heated steam is produced which is passed on to the neighbouring Reuter Power Station, where it is used to generate electricity and for district heating. So there you have it, a thing or two that I've learnt recently and would like to share here. Do watch out for my follow up post to this one, as I read up more on the Waste To Energy (WTE) efforts, it's impact and how it is being implemented. My subsequent post will be to share on this. As for now, remember to segregate, and manage your garbage, because we all love our Earth right? Yes, I hear they are going to implement that and that is a good thing. They have been doing this in other countries for a long long time now, we are far behind. 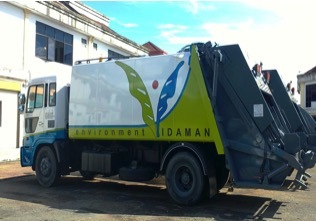 I wonder how they are going to collect the waste from the homes, any idea? In New Zealand, they come a few times each week - once for glass, once for tins...once for perishables like food leftovers - something like that, can't remember where newspapers come in. It may not be a good idea here to collect the perishables once a week - with our hot and humid tropical weather, I can imagine the stink throughout the whole neighbourhood. Even with the present once every two days, that would be enough to send the smell all around! Hopefully, you can provide the answer in your next post on this? Suituapui, glad to see your deep interest in this issue. thanks for the tips. it's really helpful. yes Earth is only place we can live in this universe so must take good care of it! another good use for perishable rubbish is to create a compost heap. Great if you plan to do some farming at home. Even using the compost on flowering plants is good. Really glad to see the awareness is increasing. And not to mention, even blogger is bearing more social responsibility as such. yeah we doing that separate trash everyday. Wah you next door so canggih no need gate? Support this awesome initiative. 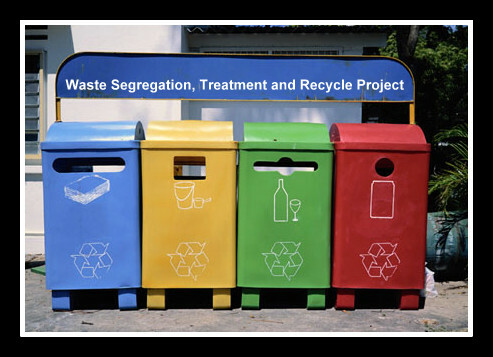 We should at least play our part to segregate our waste. Do it now than never! 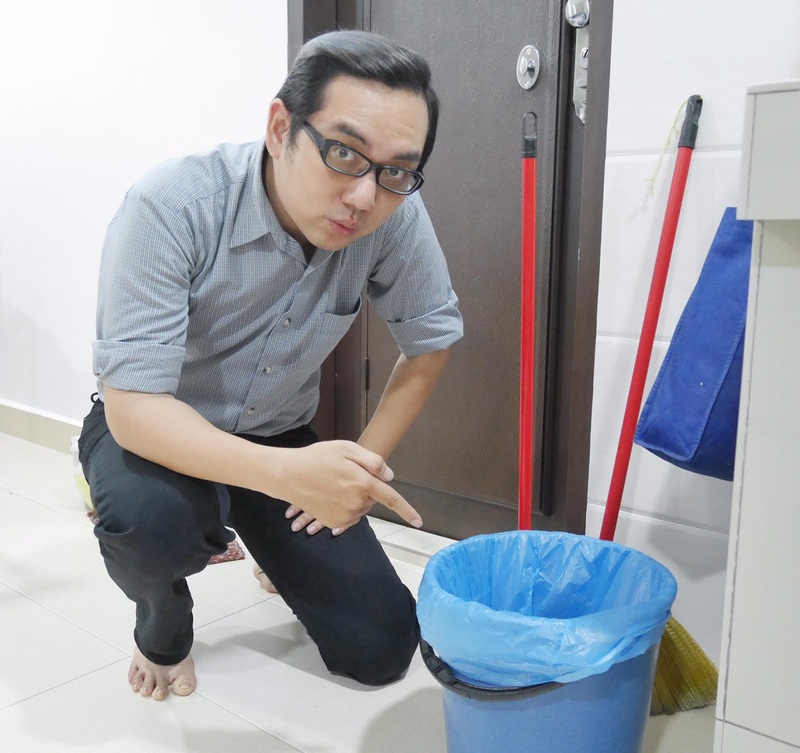 Thank you for sharing such an in-depth post on household waste management. I live in Ipoh and this policy is not enforced yet but this information will come in useful later. Nice effort! Thanks so much for spreading the awareness. It is an important message. We should start this now because everything is too late. Thanks for your great sharing. I am strongly support this movement! Thumbs up for a greener earth! This move will certainly safeguard the environment for our future generations too. wah! I learn a lot by reading this! Thanks for sharing this. We really have to do this for ouor next generation. We have been doing this quite sometime, by segregating our waste we can turn them into cash and also energy. SS Low, thank you for the nice words.. this will motivate me further on. Malaysia is a unique country. Unlike overseas, here we have people opposing the efforts, civic consciousness is also very low. You can notice from the way residents throw their rubbish literally everywhere! Gee.. Many people should know and learn how to manage our waste. nice info isaac. people should know this info. btw, u buang sampah pun senyum..heheh..
We should all start segregating trash... it helps the environment. This is a great write-up! 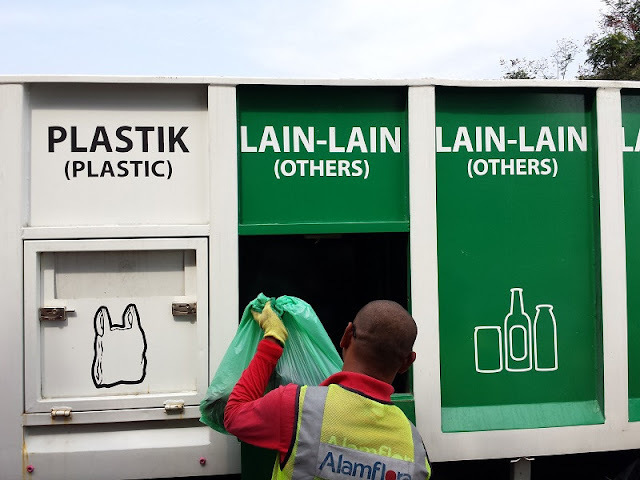 I really like this post and i must say that these Rubbish removal services ensure that you do not have to go through the tedious and dangerous process of dumping your waste. Waste is an unsightly sight when it is in your home and the faster it is out of site the better. It is however, a common fact that one cannot avoid waste at any cost but one of the things that you can do is to manage it. And I really like your ides of managing the waste.